Warner have just released two rather surprising apps to the iOS App Store. 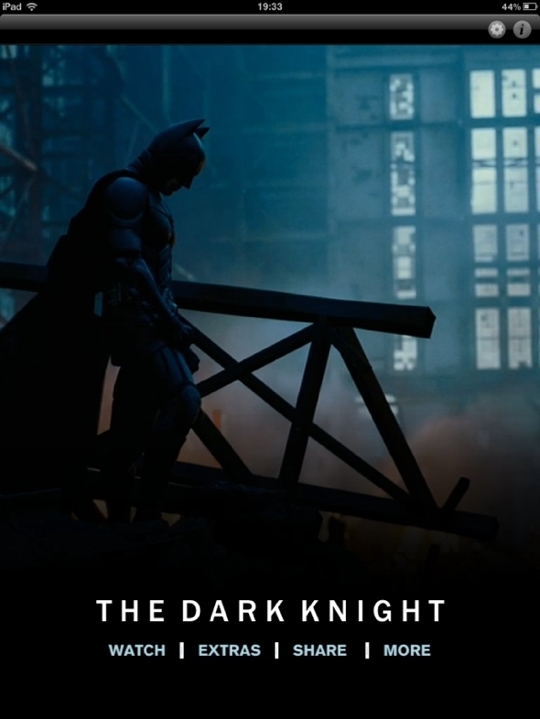 Two of Christopher Nolan’s movies, Inception and The Dark Knight now have their very own apps. The not so surprising content includes (free) the first five minutes of the theatrical release in addition to select bonus material such as games, trivia, soundtracks and soundboards. The really surprising part is that you can, via an in-app purchase, get the full featured movie to stream or download. The app is localized to quite a few different languages, complete with subtitling. Also, while watching the film, you can share your favorite movie quotes through Facebook and Twitter and watch a feed of social networking chatter directly related to the movie in real-time. Novel. Within digital distribution, rental streaming is nothing uncommon, but despite several efforts and wishful thinking from Hollywood, EST/DTO (Electronic Sellthrough or Download to Own) have never really caught on, probably because of the restricting DRMs. (Hence upcoming locker services such as UltraViolet). In the meantime though, the “App edition” incentive presented by Warner today leaves me quite puzzled and full of questions. Why would I want to download an app per movie? Why can’t I access the movies via the standard Apple video app? Why can’t I sync the movie to my Mac? In other words, is this just a stunt to dazzle us into getting on the EST/DTO train? How far can you really take the proverb: “There’s an app for that” ?